Who will be Darcey Bussell's replacement? After the previous judge Darcey Bussell announced she’s leaving the show. Rumors as to who would replace her started circulating. In this article, we will take a look a the next permanent judge on Strictly Come Dancing predictions. According to online sportsbook news in the UK, Darcey Bussell has stepped down as a judge on the highly popular British dance show- Strictly Come Dancing. After 7 glorious years on the show, BBC is looking for a new permanent judge after Darcey. 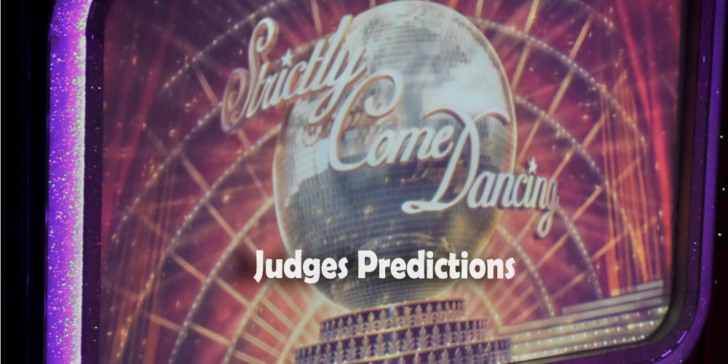 Check out our 2019 Strictly Come Dancing Dancers Predictions as well! Julianne Hough- dancing with the stars and now strictly come dancing? Julianne Hough (11/2) is a two time professional champion on Dancing with the stars and also a permanent judge on the show since 2014. The idea of her joining strictly come dancing is not too far fetched. She has judging experience and also maintains close personal relationships with Shirley Ballas. The two used to live together, and Hough learned how to dance from Ballas. A dynamic like that is hard to come by and it’s harder to imagine the BBC producers dismiss it easily. Bet on Caroline Flack to be the next permanent judge at Strictly Come Dancing! There are rumors going around that Flack is in talks with the show. Love island presenter won the show in 2014 and is the favorite to be the next permanent judge. Her odds are currently 4/1 at 1xBET sportsbook. She was also there for the Christmas episode. Furthermore, the new season of Strictly Come Dancing doesn’t clash with Love island so Flack will not have other obligations. Helen Richey- Predicted as the next judge on Strictly Come Dancing 2019? According to various sources, Richey was on the list to join the show as a judge when Len Goodman left. If she’s been considered once, she could be considered twice. Moreover, she has a lot of expertise in judging. She has been on the Australian version of dancing with the stars for 15 seasons. Her odds are currently at 9/2. If you’re ready to bet, then be sure to check out Gamingzion’s review about 1xBET sportsbook and wager on your favorite to be the next Strictly judge.